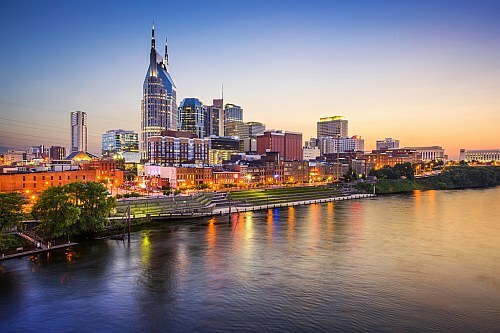 WestJet has dropped the price of their non-stop flights in 2018 from Toronto to Nashville, Tennessee down to $222 CAD roundtrip including taxes. Look for the dates that are $241 CAD roundtrip. 3. On Priceline, the price will show up as $170 USD roundtrip including taxes. Priceline is *always* in $USD. This will work out to $222 CAD when booked using a Canadian credit card, and including the typical credit card foreign exchange fee. Update 10/8 - Non-stop flights from Toronto to Nashville over the Christmas holidays are available for $232 CAD roundtrip including taxes. 3. On Priceline, the price will show up as $176 USD roundtrip including taxes (Priceline is *always* in $USD), which will work out to $232 CAD when booked using a Canadian credit card, and including the typical credit card foreign exchange fee. Update 12/23 - Non-stop flights from Toronto to Nashville can now be found in October and November 2018 for $220 CAD roundtrip including taxes. - Follow the steps at the top of this blog post. toronto, yyz, westjet, flight deals, united states, tennessee, north america, nashville and bna.